Tennis at the Rio Olympics is in the books… and my my my, what a week it has been! There have been some incredible stories and memorable moments that will certainly be remembered fondly come the end of 2016. 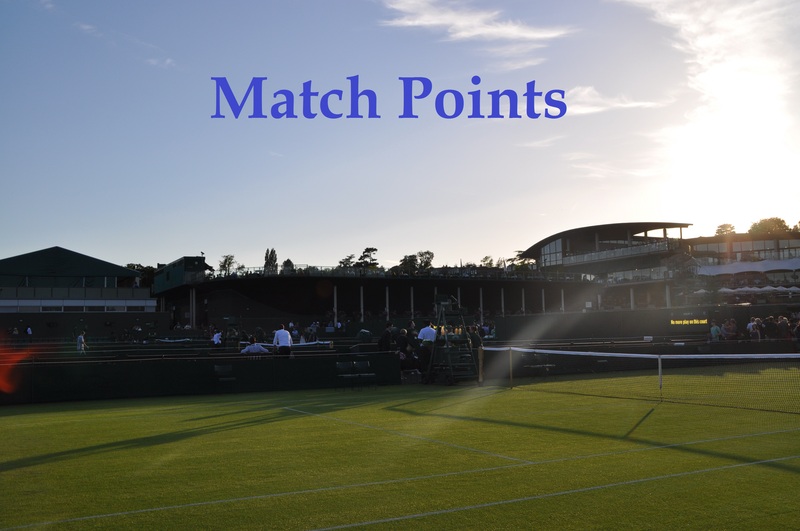 This is a snappy Match Points post with some of my favourite matches and Twitter highlights of the women’s events. Next week is Cincy… trying to keep up with the tennis is just TOO MUCH. There will be a preview of some description but bear with me! Monica Puig, Olympic champion. With wins over Polona Hercog, Anastasia Pavlyuchenkova, Garbiñe Muguruza, Laura Siegemund, Petra Kvitova and Angelique Kerber, Puig became Puerto Rico’s first gold medalist at the Olympics. A huge, hearty congratulations to Monica who was absolutely sensational this week! Puig’s performance in the final was one of the most impressive individual performances of the year. It was a high quality final all round with some fierce rallies; Puig finished with 54 winners to 33 unforced errors, while Kerber still came away with positive stats of 31 winners to 25 unforced errors. In an absolute marathon match, Konta’s bravery and willingness to go for the lines outshone Kuznetsova’s defence as she squeaked out a battling win in three hours and seven minutes. From a set down… to victory! Remember this one? It feels so long ago! This was a tough watch for Venus and her fans but it was a gripping encounter where Flipkens played her heart out to bag the upset win. Keys was two points from defeat in the third set tiebreak but showed tons of fighting spirit to come back for the win against Mladenovic in a high-quality contest. Kvitova had some big wins during the week but it was the battling nature of her third round victory against Makarova, coming from a set and a break down, that was a game changer. Czech Republic's @Petra_Kvitova moves into #Rio2016 Quarterfinals! The end of Kerber-Keys was great with some super rallies. I’m still reliving one rally that saw Kerber hold to 6-5 after a Kerber-forehand to Keys-backhand angle show! 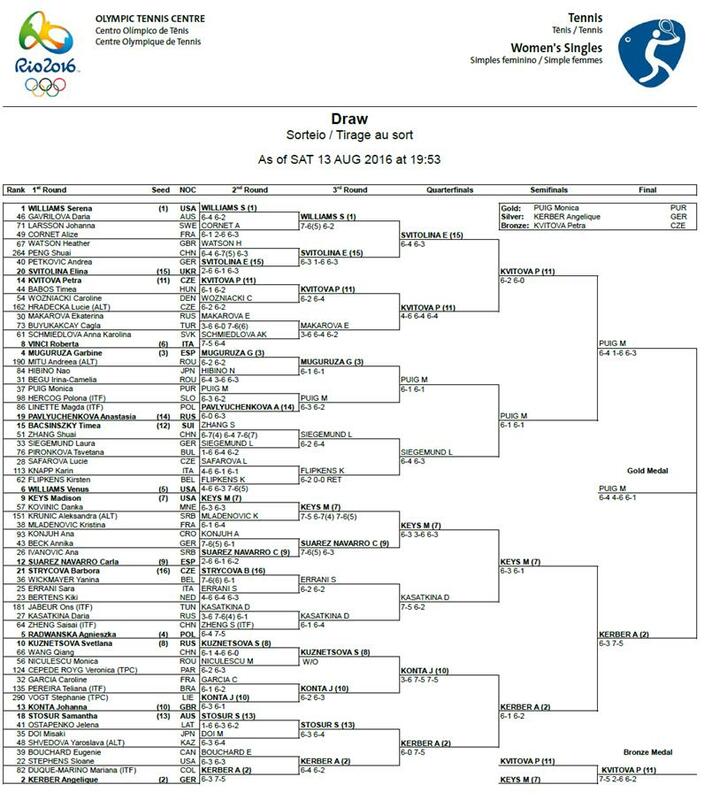 August 15, 2016 in Match Points, Olympics, WTA. Set Points, Rio Olympics Day 8: Monica Puig is the Olympic Champion! ← Set Points, Rio Olympics Day 8: Monica Puig is the Olympic Champion!